Overweight and childhood obesity are increasing all over the world. The Autonomous Community of the Canary Islands continues to have a higher incidence of them in the infant and adolescent population, something that has led to this project and the preparation of menus tailored to the different stages of childhood and adolescence, to meet all the nutritional requirements for macro-nutrients (protein, carbohydrates, fats and lipids), micro-nutrients (vitamins and minerals) and fibre. Based on the results obtained in the enKid and ALADINO studies, which revealed an elevated incidence of overweight and obesity in the child population of the Canary Islands, along with data from the 2009 Canary Islands Health Questionnaire, it was found that there is still a need to provide influence of certain aspects of healthy eating as well as physical exercise. In order to fully understand the menus that have been prepared, it is most important to be clear about two concepts: eating and nutrition. Eating is the dynamic activity feeding oneself. Nutrition is the process through which the body receives, transforms and uses the nutrients contained in foods. Therefore, when referring to food, we are speaking about products that supply nutrients to the body for the purpose of maintaining its vital functions. When referring to nutrients, we are speaking about the chemical substances in food that are used by the body to carry out those vital functions. The menus that appear below have been prepared for a two week period, with daily calorific values, taking into account the sedentary lifestyle of the population for whom they are intended. In those cases where moderate physical activity is undertaken, supplementary servings can be added. During childhood and adolescence, something of everything should be eaten, as the greater the variety of foods in the diet, the greater the possibility that it will be balanced with respect to the nutrients that are required, given that it is a poor habit only to eat what we enjoy. For this reason, before taking the decision not to serve a food that has been refused by a child, we recommend offering it again on several occasions, cooked in different ways, and in different situations. The menus in this document have been grouped into three age groups, as calorific requirements increase throughout these different stages. The calorie distribution has been calculated as a daily total and the energy and nutrient needs divided between five daily meals. It is better to eat five light meals a day than to eat excessively a couple of times a day. The metabolism of those people who let hours pass without eating ends up burning fewer calories, converting them into prime candidates for obesity. It is generally recommended that a regular timetable should be established for meals, with an equal split between four or five meals a day. Breakfast is one of the most important meals of the day. It should provide about a quarter of the daily calorie intake and comprise: a dairy product, (milk, cheese or yoghurt), cereals, (bread, gofio, breakfast cereals, preferably wholemeal and with a low content of simple sugars) as well as whole fresh fruit, or, as an alternative, fresh fruit juice without added sugar. It has been found that a proper breakfast improves nutritional status, helps weight control, improves student attention and performance, and is an important habit to acquire in the early years, given that it is beneficial for good health. A programme of nutritional evaluation has been used to give the nutritional values of different foods. The sections for diets, meals, and foods can be used to obtain the recommended proportions of the principle nutrients provided by the different menus. In compiling the menus, the recommendations of the food pyramid and the Mediterranean diet have been taken into consideration, following scientific evidence supported by associated research. Moreover, using the diets in our programme is easy, as the foods it features are readily available to us, and in the best quality: olive oil, fish, pulses, cereals, bread, fruit, vegetables, yoghurt, dried fruit and nuts. All this information is presented along with helpful tables of the sizes of foods portions normally consumed, usual household weights and measures, macro and micro-nutrient requirements by age group, and servings by content of macro-nutrients, etc. Those foods often eaten at several meals, such as brown bread, have been preferentially selected to be higher in fibre, minerals and vitamins, to ensure that recommended levels of fibre intake are met. All other foods are commonly available in many brands in the retail consumer market. It is also important to consider the origin and labelling of foods most frequently consumed in order to evaluate the choice of brand. It is also worth considering that less processed foods are of greater quality and have a higher nutritional content. One method to help count calories consumed is to use recommended cooking techniques. It´s advisable to steam, grill, bake, boil, bake en papillote (wrap and bake) food. As a garnish, use spices to flavour and en rich different dishes. 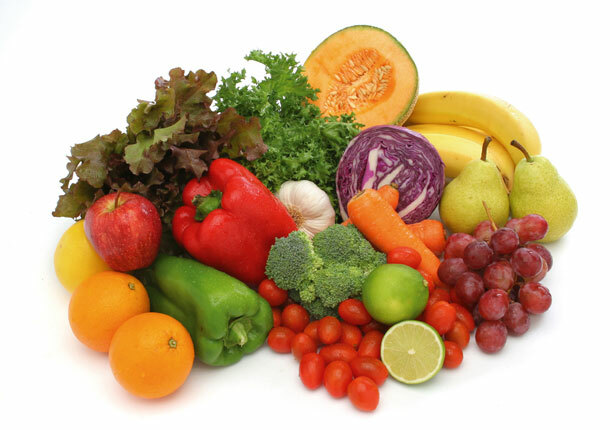 Regarding the eating of some types of foods raw, such as vegetables, it is known that they contain more vitamins and minerals if they are eaten uncooked (lettuce, watercress, spinach, tomato, etc. ), than when they are subjected to cooking procedures, as they can, for example, lose part of their nutritional content in water used for boiling. For this reason, it is recommendable to use the water used to cook vegetables in the preparation of other dishes. Remember that adding olive oil when stewing can increase the presence of vitamin E.
Finally, within the two week programme, ovo-lacto vegetarian menus have been included. The intention is to combine foods to provide high quality protein, and the greatest possible variety taking account of the tastes and customs in the region. The Paediatric Guide to Food and Healthy Menus are complementary publications, and will be particularly useful to those who wish to broaden their knowledge of dietary matters.